​All crystals have the ability to heal it just depends on you believing in them and then selecting the best crystal for your needs at that time. Use the crystals to perform healing either on yourself or others. Crystal healing practices help to remove the negative imprints on our mind that cause illness to arise. Everyone can benefit from a positive mental attitude. Crystal Healing is possible through the energy that the gemstones emit. Healing can be for the physical, emotional and spiritual. No matter what you need these crystals are able to assist you in your healing. Crystal Healing centres on the energy of your body (Chakra’s) and the innate energy of the crystal. When these two forces interact your within your body healing can occur. When a crystal is held, you are instantly in touch with the forces that make up our planet and the elements. You will see how to make use of crystals to enhance the body’s own healing abilities, reduce stress and improve your quality of life. One way to benefit from the properties of the crystals and stones is to wear them. Often people who have no conscious knowledge of crystal healing will intuitively select crystal jewellery with stones that will have a positive healing effect for them. Choose stones appropriate for the purpose you want but always use your intuition. 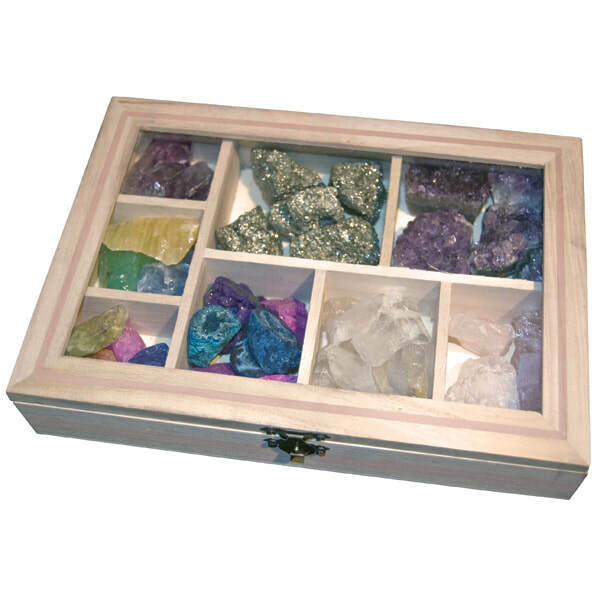 Crystals worn on or close to the body are often used for healing or protective purposes. these usually do affect the entire body and energy field. The particular location of the stone is also not absolutely critical in most cases. 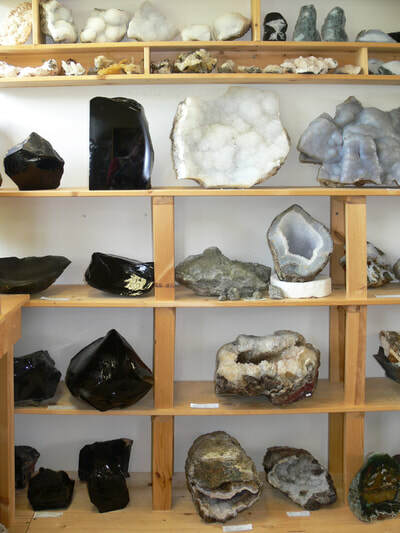 Placing the stone on or near the specific area related to the purpose of treatment is often faster and has a more focused effect, however as in any form of healing, The healing energies will go to where it is intended and to where the healing is needed. You can also direct and focus the energy from the crystal by intention. Sometimes you will feel that a stone needs to be somewhere that has no pocket or practical place to wear jewellery. Little pouches can be pinned inside clothing for fine tuned placement.The length of the chain a pendant is on will help control the strongest effect of the stone. A pendant or necklace resting at the throat chakra might have the greatest effect on areas governed by the throat chakra (for example: communication and creativity and other throat chakra issues) but will still provide energy to the entire aura and physical body. A stone worn lower down and near to or on the heart will again have a greater effect on issues and areas governed by the heart chakra, for example: matters of love and compassion. Many people feel that the stones worn on the left side have to do with receiving energies and that stones worn on the right side will primarily influence projective matters and outside issues. 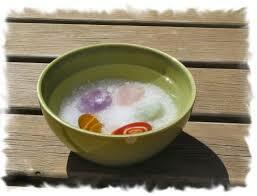 Crystals can be used in the Bathwater or placed around the edge of the Bath Tub. This method is very effective and enjoyable. Bathing cleanses not just the physical body but also cleanses us on all 4 levels. Bathing can wash away the stresses and strains of the day, any negative emotions we might be holding onto and can refresh us, soothe us, revitalise us and energise us. ​Placing Crystals in the bath will absorb any negative energy or emotions. In addition the healing energies of the crystal will be directed to where it is intended. Aventurine is an effective crystal for use in the bath. 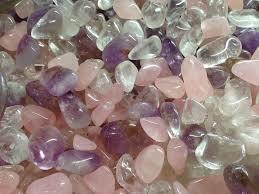 Good "all round" crystals like Clear Quartz, Rose Quartz and Amethyst are also great for use at bath times. The energy structure of crystal naturally imparts a stillness and order to the subtle body system, which in turn helps to quieten the mind. Problems are issues that have not yet been resolved by normal thought processes. By altering our way of thinking away from everyday issues a solution can automatically arise. Crystals can be placed in front of you in meditation practice of they can be held in the hands. Every day our bodies are subjected to harm from everyday substances. This is known as Environmental Stress. Substances like plastics, electricity, radio and microwaves have harmful effects. These substances increase the stress loading on our systems making us more susceptible to Illness and Disease. The earth has a natural electromagnetic field called the geomagnetic field. Man-made substances can reduce this ambient Earth Energy by shielding it, or by setting up stronger electromagnetic resonances that may interfere with natural frequencies. Electrical devices in the home and workplace create a powerful electromagnetic field around itself. This can cause a problem of entrainment in a person who is run down or susceptible. Entrainment is when the natural frequencies of the body become enmeshed with a stronger set of frequencies from an outside force. Crystals can be used to amplify personal energy fields which may counteract the affects of environmental pollution. The use of crystals is becoming quite popular in modern offices where computers, artificial lighting, air conditioning, metal furniture and nylon carpets can be disastrous for the energy system. 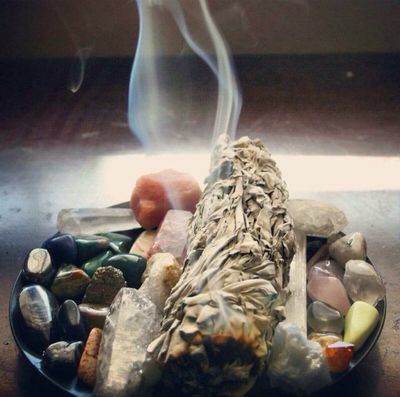 ​It is important to clean a crystal when your crystal arrives and then clean your crystals after you have been working with them, such as in healing work or meditation, as they absorb the negative energy. 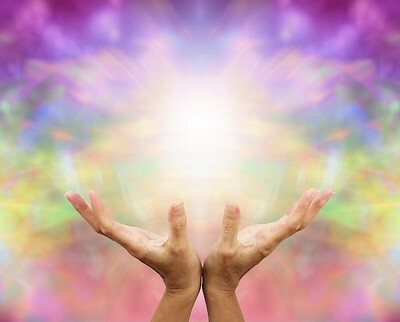 While holding your crystal in your hands, visualise it immersed in white light, clearing it of any unwanted energies. Hold it for several minutes or as long as you feel inclined. Hold your crystal under the tap and allow cold water to flow over it. As you do so, visualise all negative energies dissolving and washing away, transforming into positive healing energy. 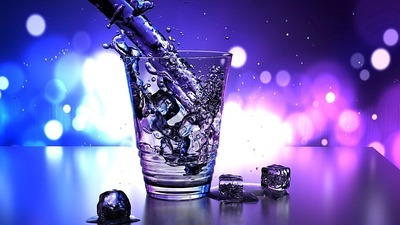 Water is not recommended for soaking Calcite, Opals, Pearls, Celestite, unpolished Malachite or Turquoise due to their composition they can dissolve or could be permanently damaged. Morning sunlight gently cleanses your crystals and moonlight is a softer way to let light filter through your crystals and cleanse them. The best time for this is a full moon. Place your crystals on a bed of rock salt for 24- 48 hours to purify the crystal's energetic matrix. Bury them in the earth, soil or clay for 2 –7 days as this provides a slow and gentle form of cleansing. The longer you leave it the deeper the cleansing. Some methods of cleaning crystals can give you the ability to charge them at the same time. While other methods of charging your crystals need to be done separately from the cleaning process. When charging your crystals you need to have an intent. Do you want them to heal, find a life partner, bring you wealth, or clear your Karma. You can key the crystal to its task by saying affirmations as you charge them. ​Placing your crystals in sunlight for an hour or so, will charge most crystals. You can place your crystals on the earth for an additional charge while recharging them under the Sun, Moon or Stars. Placing your crystals out under Moonlight is a gentle and penetrating method for recharging your crystals. 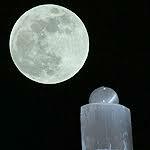 The full moons’ light is the brightest in its cycle, thus giving a greater charge to your crystals. Placing them out in any dynamic weather conditions such as a thunderstorm provides electromagnetic charge to your crystals. Placing your crystals on an amethyst cluster is for recharging jewellery and smaller crystals. You can also place your crystals on a clear quartz cluster that you have programmed to recharge any crystals you put on it. 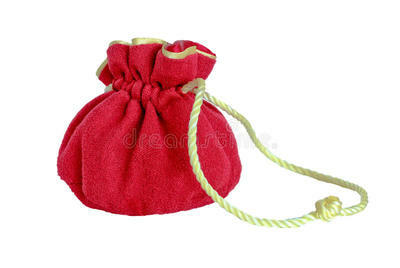 ​Keep your crystals in a bag that is made from silk, satin, velvet or cotton. Crystals need to be treated carefully as they are fragile and can chip and split. If you carry them with you keep them in a bag so they are protected. Select a location that's dry and clean. 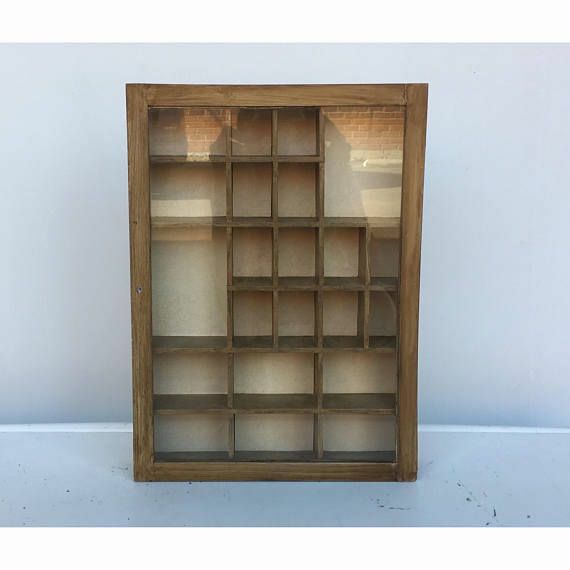 Exposure to dust, or moisture can damage or destroy some specimens. If possible, use boxes made of plastic or acid-free materials to prevent chemical reactions between the specimen and it's container. 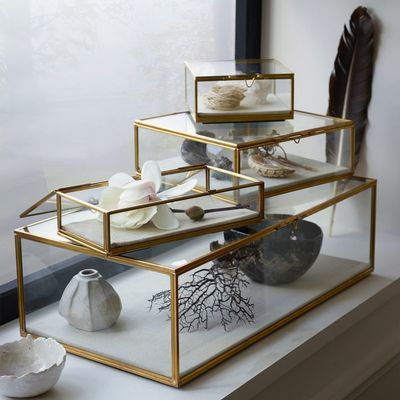 Keep small, fragile, or soft samples in individual or divided containers that are lined. Try to keep each specimen separate so harder minerals don’t damage softer minerals. "I dedicate this crystal to the highest good of all. May it be used in light and love". If you wish your crystal to perform a specific task hold the crystal in your hands think about the purpose, you must be specific. When you are ready say out loud I program this crystal for …..
Then you can place it some where you will see it regularly or keep it in your pocket, touch and hold the crystal a few times a day so that it will key to your energies.